When words fail, pictures speak. With the emergence of photo and video sharing social platforms such as Instagram and Snapchat, brands are increasingly harnessing the power of pixels. If you are a food, fashion or lifestyle brand, these platforms are the best bet for audiences seeking young and creative audiences, unlike Facebook and Twitter, which work well for brands with mass appeal. In India, Instagram has a lead; Snapchat, however, still has fewer takers. Rajiv Dingra, Founder & CEO of WATConsult, believes this could be because it is a fairly new platform. "Snapchat is a 'for-the-moment' medium and therefore has presence of brands that are youth-centric," he adds. Paper Boat, a non-carbonated drinks brand from Hector Beverages, was one of the five launch partners of Instagram ads in India. The company wanted to show people newer ways to try its products. Knowing that its drinks were used as mocktail mixers, Paper Boat created a series of recipes using pictures on Instagram. "It is a great platform for storytelling. You are not confined by code and can be as creative as you want," says Parvesh Dubeka, Marketing Head at Paper Boat. It has over 14,000 followers on the network acquired organically as well as through ads. After opening up advertising for businesses around the world in September 2015, Instagram claims to have more than 200,000 global advertisers on its platform today. "In India, we are seeing significant marketer demand in areas like consumer packaged goods, e-commerce, tech, telecom and auto," the spokesperson from Instagram told Business Today. Nestle KitKat, Grofers, Sportskeeda, Haptik and Inshorts are some of the brands present on the platform in India. Snapchat as a marketing platform is still being mulled by brands in India. "Its user base in India is still not big; also, it is not very easy to use," says Hareesh Tibrewala, Joint CEO of Mirum India. Lenovo was among the first few to use Snapchat while launching the A6000 smartphone with a video campaign featuring actor Ranbir Kapoor. The videos were later posted on Facebook and Twitter. Amit Doshi, Head, Consumer and Digital Marketing, Lenovo India, says that Snapchat is great for engaging with consumers in the moment. "The numbers are not great, but we believe it could be at an inflection point. One can never tell if a platform will take off, but when it does, we want to make sure we are ahead." Apart from wanting to create awareness, companies are also using these networks to drive app installs. On-demand delivery service company Grofers has seen an 8 per cent incremental reach in its core target audience after using Instagram. It has seen a 50 per cent reduction in cost-per-install (CPI) on the platform. Of the 500 million monthly active users globally on Instagram, more than 80 per cent are outside the US. 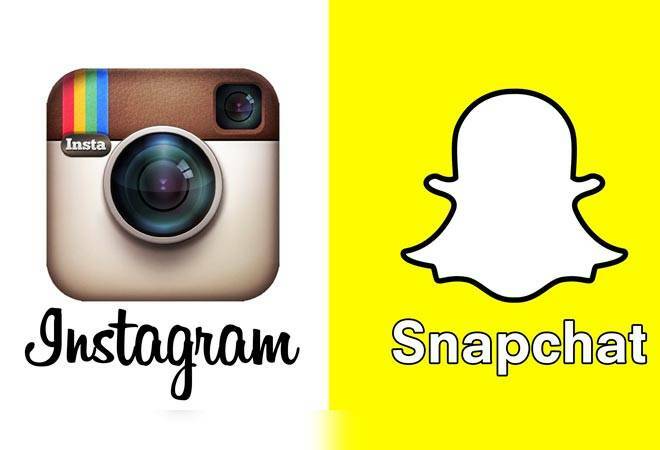 Snapchat, meanwhile, has 100 million daily active users. Instagram is popular among users in the ages of 18-29 years, and hence also popular among marketers. Snapchat is a favourite among users in the 13-21 age group - a preferred medium for brands looking to engage with them in real time. The creative independence offered by these networks makes them much sought after by advertisers. However, since creativity is paramount to get noticed, brands have to invest more time and human resources to build content. That said, the return on investment on these sites is still not as high as on Facebook or Twitter. "Once they grow bigger, more brands will put in the effort," says Dingra.